For Sale/Wanted Thread: NO BOATS OR MOTORS .... read rules please. Post in here only!! Discussion in 'Dock Talk' started by SEMPERFI8387, Apr 15, 2018. There was one posted for sale on Charlotte Craigslist. FOR SALE: Never installed Bennington OEM cover for a 2250 GSX. I bought it locally off of Craigslist thinking it would fit my 2275 GSX. Unfortunately, it is too short for my 2275 with extended aft deck. The guy who sold it to me said he got it from Bennington as a warranty replacement, but sold the boat before ever installing it. It has never had snaps attached. $500 plus shipping from zip code 29036. Just a quick note to say this cover is still available. It could be modified by a local canvas shop if it wasn't made for your specific year/model. I knew before I bought it the cutouts for the bimini would need to be moved and my local canvas lady quoted me $100 to do it. Unfortunately, the overall length of the cover was too short to work on my 2012 2275 GSX with extended aft deck. I'm open to offers. Vikingstaff and Major K like this. Rick from Rocky Mount, gnc1017, Link and 6 others like this. Anyone out there with a 17 pitch (15 1/2” diameter) swsII prop they are looking to get rid of? I'm a big Smartcraft fan, I've had three boats with it. 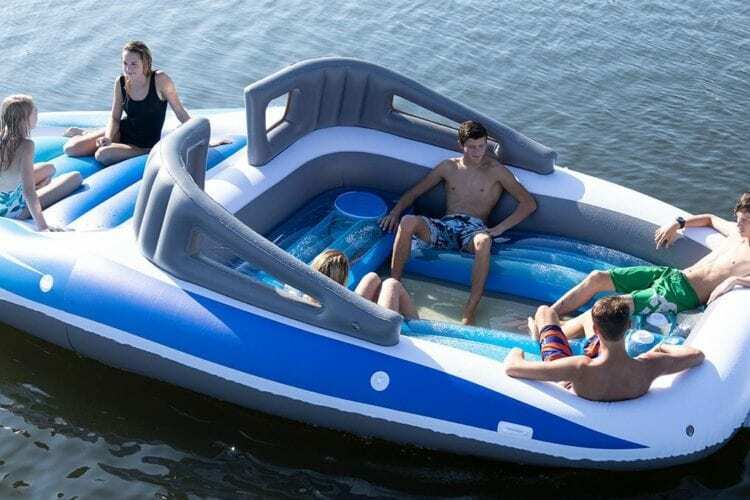 I would never have a boat without it, so I ordered it on our new boat. I understand and like the idea of Vessel View, but I think it's mainly for people without Smart craft gauges, but maybe I'm wrong. For the people ordering Vessel View, do you have Smartcraft gauges on your boat and if so, what extra does Vessel View give you? I cleaned up thread. Please only post item for sale or wanted. No other discussions in this thread please. Helps keep it clutter free. Hello, new member from Michigan here. I just purchased a 2000 2575rl and was wondering if anyone has a bow filler seat they'd like to sell? I'd also like to find a two person/extra wide captains chair. Hello, new member from Michigan here. Welcome from one Michigander to another! Unfortunately, I can't help you out with your search. Where do you boat? Hello Michiman, I'm located just north of Ann Arbor on the Portage Chain of Lakes, you? Chris, nice area you have to boat! We ply the waters of Houghton Lake along with Vikingstaff. Glad to have you on board. Chris Hammond and Vikingstaff like this.